Experience Guatemala’s top attractions with a mix of traditional and off-beat tours on this 9-day journey. Major destinations include Antigua, Lake Atitlán, and the Tikal area. Unforgettable experiences range from a volcano climb and a tour of a local coffee farm to a zip-line adventure over Lake Atitlán, a visit to a massive indigenous market, and an incredible sunset over centuries-old Maya ruins. 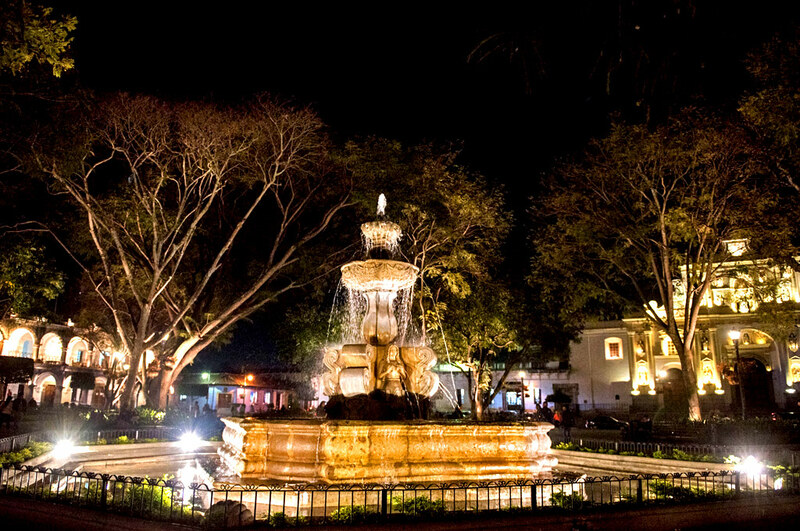 Arrive at the Guatemala City airport and transfer to the colonial city of Antigua. 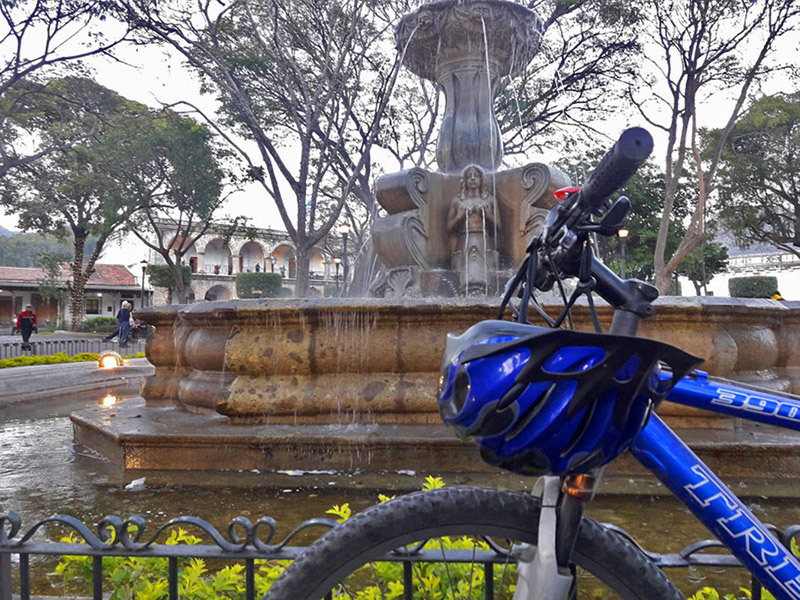 Gear up for an Antigua Valley bike tour. Back roads and trails take you through small villages and farms and provide great views of nearby volcanoes. En route, you’ll stop in the town of San Miguel Escobar to learn about De La Gente, a non-profit organization that works with independent coffee producers. Explore local coffee fields and get a first-hand look at how beans are picked, processed, and roasted before eating lunch in a family’s home and completing your bike excursion. In the afternoon, explore Antigua on your own. 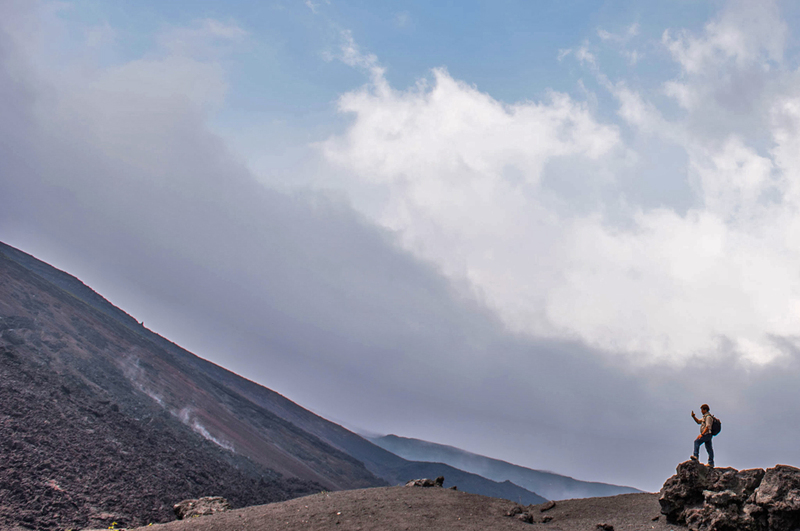 Head to Pacaya, an active volcano outside of Antigua for a challenging hike along its foothills and through pine forests to an area of lava rock and ash where hot steam escapes through the ground. Along the way, you’ll learn about the formation and evolution of the volcano and about the surrounding environment. On a clear day, views include other volcanoes and the Pacific lowlands. Travel to Chichicastenango, one of Guatemala’s largest markets, to explore its seemingly endless stalls of wood-carved masks, ceramics, textiles, and tropical fruits and vegetables. Get a close-up look at K’iche’ Maya culture by visiting Santo Tomás (a centuries-old church where locals practice a mixed Maya-Catholic religion) and Pascual Abaj (a hilltop shrine where shamans—spiritual leaders—often perform traditional ceremonies). After exploring, continue to Lake Atitlán. 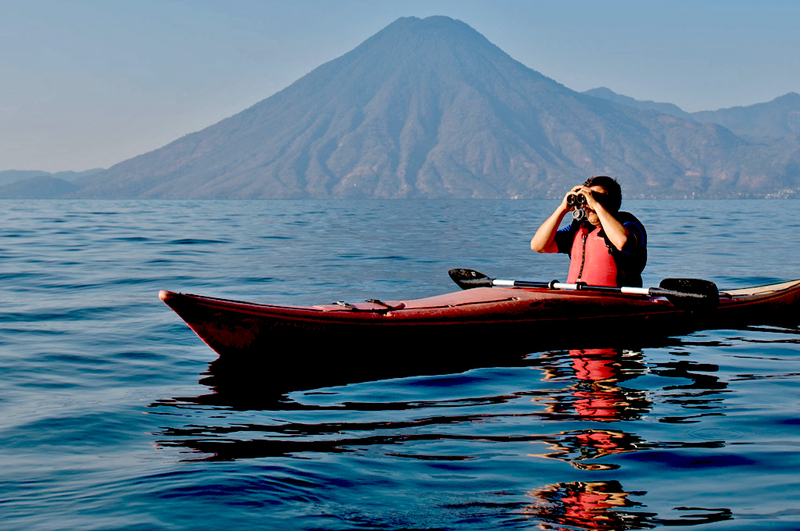 Set out on a Lake Atitlán kayak adventure (look for local Maya fishermen and the occasional pelican) before hiking to the top of Cerro de Oro, a lakeside hill with stellar area views. Afterward, head to Santiago Atitlán, a traditional Tz’utujil Maya town, to track down the folk saint Maximón, an effigy that’s housed by a member of the local religious brotherhood; shamans often perform rituals wherever Maximón resides. Explore the town, its church, and the local market, too. Visit the Reserva Natural Atitlán, located just outside Panajachel. Enjoy its jungle-lined nature trails (look for raccoon-like coatis and exotic birds), swing bridges, butterfly preserve, and thrilling zip-line routes; the latter offer stellar volcano views. In the afternoon, transfer to the Guatemala City airport and fly to the town of Flores in the department of El Petén. Enjoy a free morning before setting out on an afternoon tour of the Yaxhá ruins, a picturesque archaeological area with superbly restored structures surrounded by lush jungle and overlooking two scenic lakes. Head to Temple 216, which towers above the site, at dusk for magnificent sunset views, plus drinks and snacks. 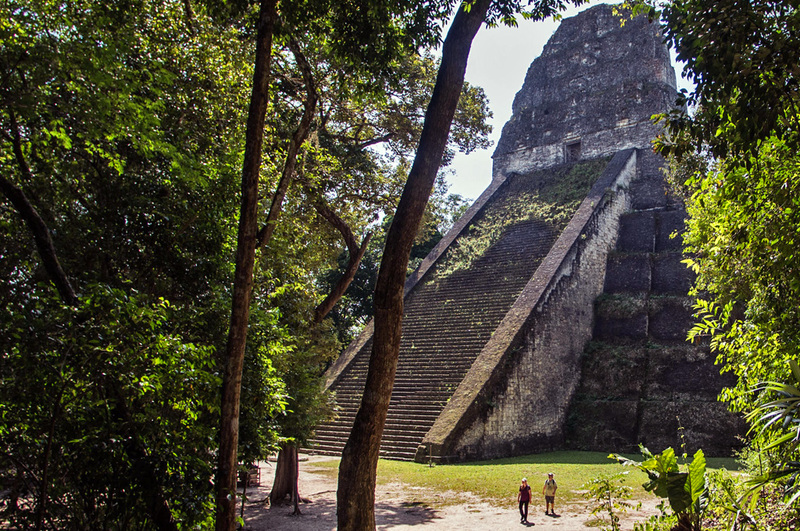 Take a guided tour of Tikal National Park, one of the ancient Maya’s largest and most fascinating urban centers. A UNESCO World Heritage Site, Tikal reached its heyday c. 700 A.D. with some 50,000 inhabitants. Today, it comprises more than 3,000 well-preserved temples, palaces, and shrines surrounded by jungle; look for tropical birds and monkeys. Day 9: Transfer to the Guatemala City airport in time for your departure flight. Swim With Sharks? No worries!